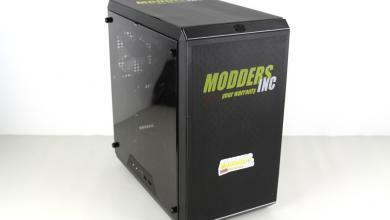 Is it a table or is it a wall-mounted PC? It is both! 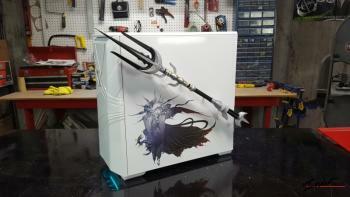 Thermaltake’s latest P5 case was quite impressive in person when Modders-Inc spotted it on display at QuakeCon and now it is finally available for purchase. 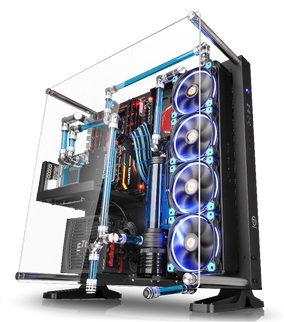 As if the panoramic wall-mount chassis was not impressive enough as it is with its versatile liquid cooling-friendly design, the Thermaltake Core P5 is made even more impressive by its affordable $149 price tag available worldwide in major retailers. 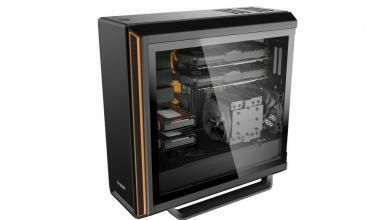 Modders will be also glad to know that the Core p5, like Thermaltake’s Core series of cases are very friendly to those who customize their PCs. 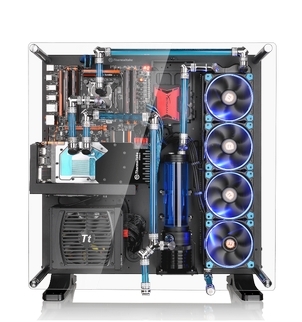 Thermaltake will be posting 3D printing designs compatible with the case soon on their site and its fully modular design lends itself to customization right out of the box. 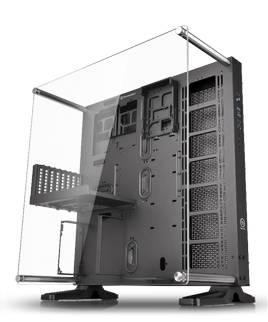 Taipei, Taiwan－October 1st 2015－Thermaltake, an industry leader in computer chassis, thermal solutions, and power supply units, has introduced the Core P5 ATX Wall Mount Panoramic Viewing LCS Chassis. 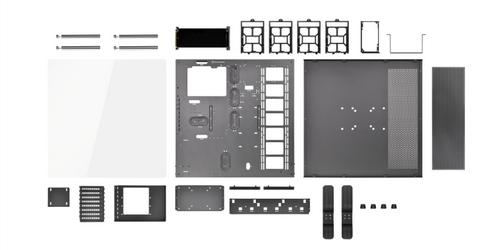 The fully modular design of the Core P5 allows flexibility for 3-way placement layouts (Wall mount, Horizontal and Vertical), dual GPU layout locations: horizontal and vertical placement locations for liquid cooling components. The large acrylic window serves to simultaneously protect and display the glory of the Core P5. 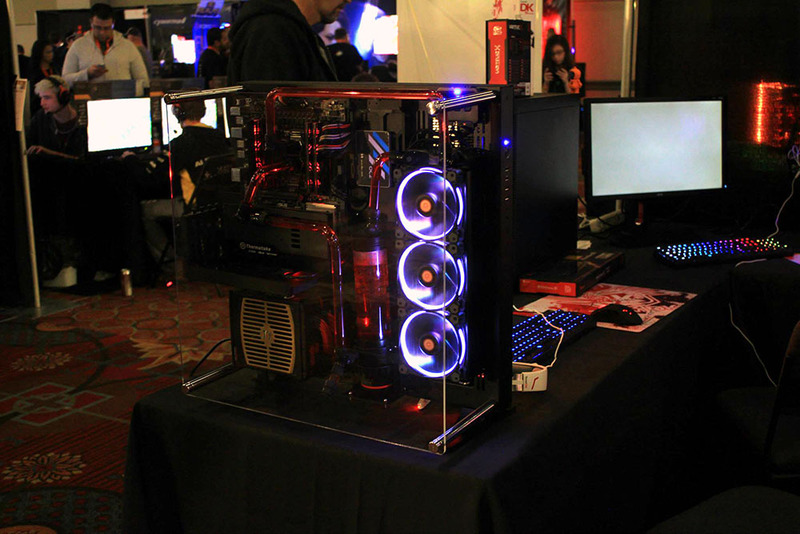 The Core P5 delivers the ultimate experience in PC hardware viewing by taking presentation to the next level. Core P5 engages users in the “maker movement” with the 3D printing accessories available online; users can download 3D printing accessory files and turn Core P5 into an individual masterpiece. 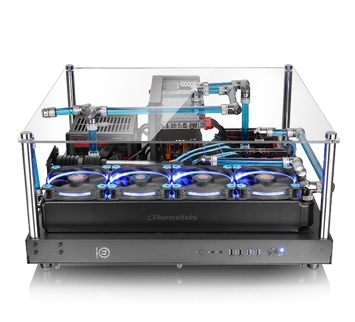 By practicing and incorporating the idea of “maker movement” as well as 3D printing in Core P5, Thermaltake designs the open frame panoramic viewing chassis allowing anyone to make their own mods by printing out ideas using 3D printer with liquid cooling components. 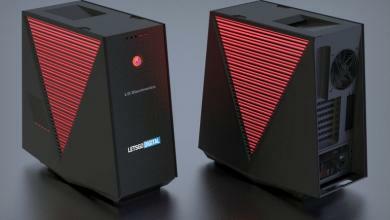 ** Download the Thermaltake Core P5 3D Printing Designs here: COMING SOON!! Four customizable 3.5” & 2.5” drive bays enable users to freely interchange the hard-drive cages to suit their particular needs, whilst being able to remove the 3.5” & 2.5” drive bays to gain maximum space for cable management up to 45mm. The Core P5 Wall Mount chassis is designed for use in three different ways: Wall-mount, vertical, and horizontal placement. 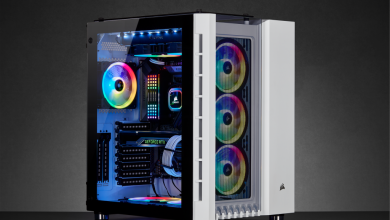 Built for customization reflecting the makers’ personality, the Core P5 allows users to adjust the chassis for the best viewing presentation while ensuring outstanding cooling performance. Users can choose to hang the Core P5 on the wall as decoration, or display it on any surface of their choice in a vertical or horizontal position. Other cases in the market still have borders on their open frame designs, while Core P5 is a true open frame case with ultimate viewing capability, allowing users to fully display the front and back sides unlike anything on the market. 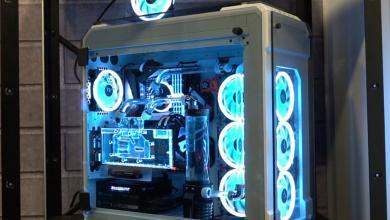 Core P5 Wall Mount enables users to build a complete high-end system, whilst supporting up to either 480mm radiator liquid cooling, or 140mm case fans, with a long graphic card at the same time, and simultaneously providing the best visual effects as well as increasing the CPU’s case modding potential. 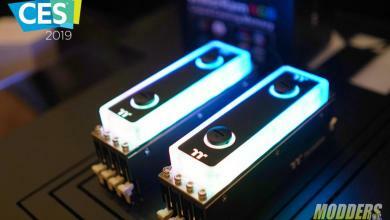 Most importantly, it has the capability to deliver an outstanding cooling efficiency throughout the entire case.